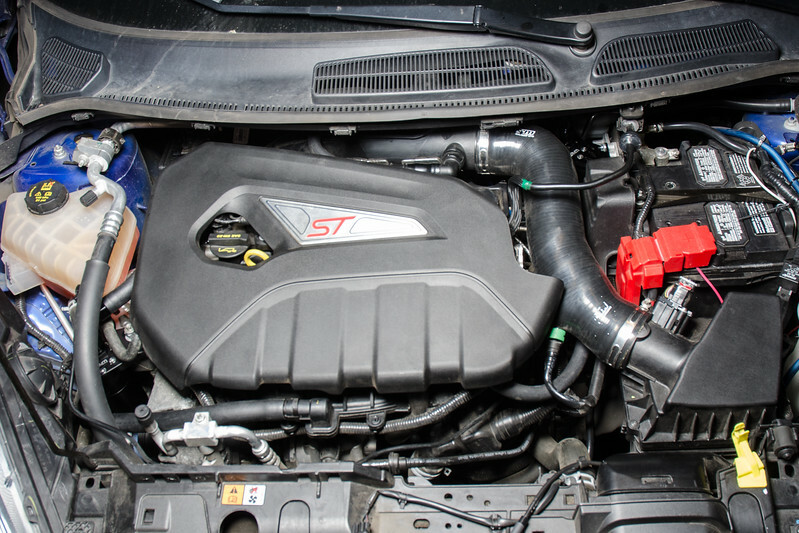 The Fiesta ST , like all direct injected engines, does not have port injectors to spray fuel on to the intake valves to help keep them clean of sludge and carbon. As a result, these engines can benefit greatly from an oil catch can, to help reduce oil and carbon buildup on the intake valves. Depending on engine RPM and load, the crankcase ventilation system may experience air flow in either direction; out the PCV valve or out the crankcase ventilation port. For this reason, Radium Engineering has designed a catch can for both the crankcase vent line and the PCV line. 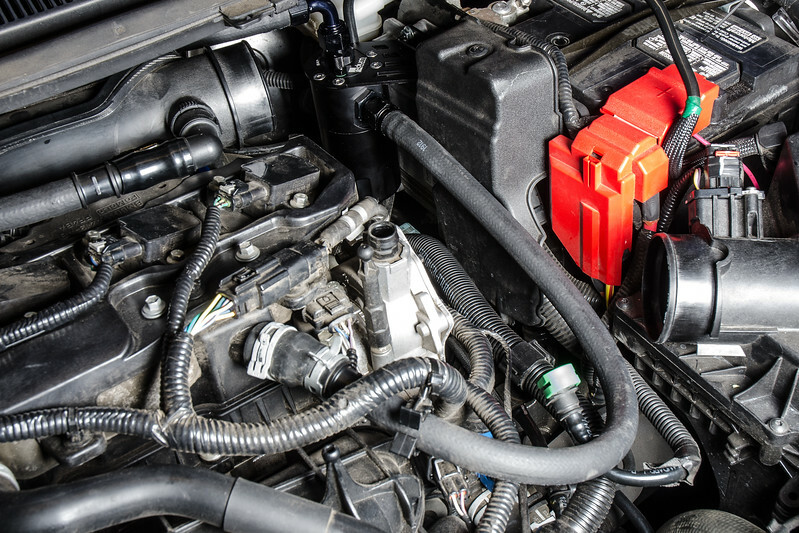 Both systems retain the OEM closed-loop function and will not cause a check engine light. The crankcase side catch can mounts in the rear of the engine bay near the battery, as shown below. When under boost, the engine will vent out through this line and the catch can will catch oil and other contaminants before they reach the turbo air inlet pipe. During cruising and other low-load situations, the engine will vent through the PCV valve line. The PCV side catch can installs near the coolant tank in the RH side of the engine bay and keeps oil and sludge out of the intake manifold. 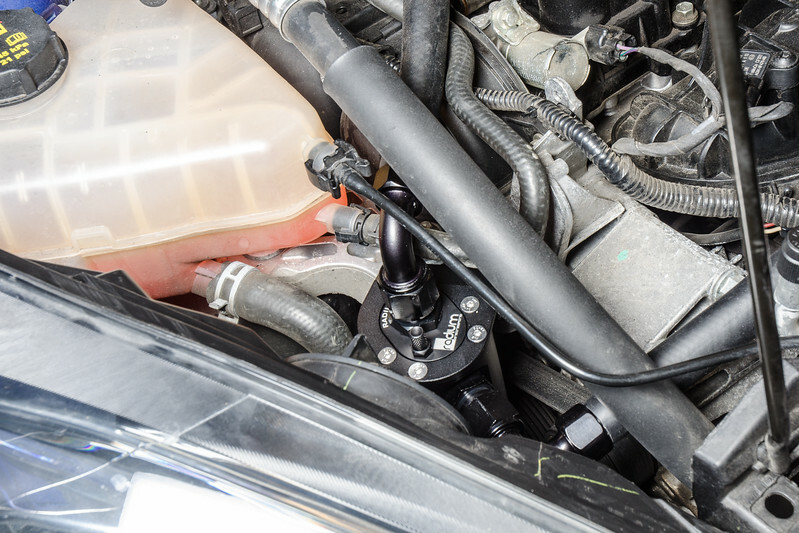 Even though this catch can is connected directly to the intake manifold, a check valve is NOT necessary on this catch can. The robust design of the Radium Engineering can will withstand boost pressure from the intake manifold without any trouble. 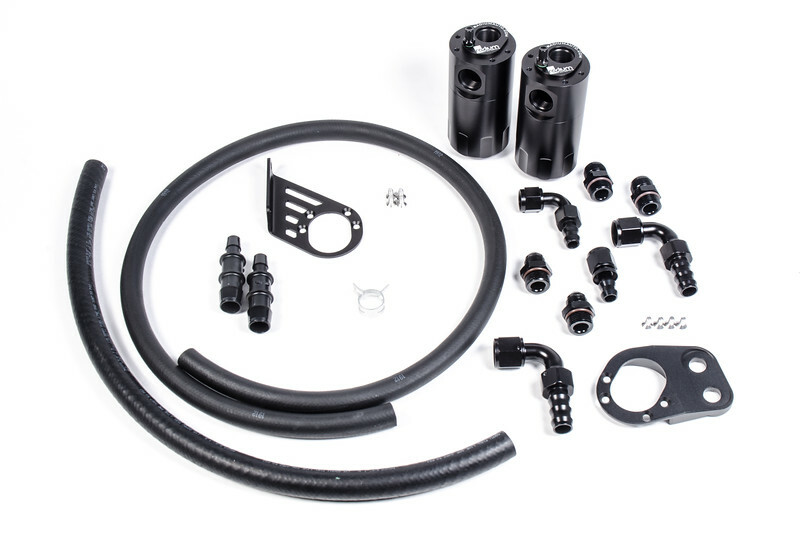 The catch can kits can be purchased separately or together. All necessary parts for installation are included, as shown below in the picture. Installation can be done in less than an hour using the instructions posted on the radiumauto.com product page. For more information on this product, Click Here. This product can be purchased directly from www.radiumauto.com or from any Radium Engineering authorized dealer. Improving Dai Yoshihara’s Formula Drift Engine Wear With WPC Treatment!